A Yorkshire consultancy has expanded its portfolio of sporting clients after being appointed by Manchester Thunder and Netball UK. Waverley will work with Thunder, the North West’s Superleague Netball team, to develop its communications, marketing and sponsorship activity ahead of and through the 2017 season. 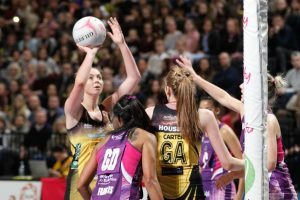 The firm will also develop the social media strategy of Netball UK, the UK’s leading online supplier of netball equipment and products, which sells across the country and the world from its Oldham headquarters. Debbie Hallas, director of Manchester Thunder, added: “Working with Waverley on Netball Manchester Live helped us realise the opportunities from partnering with Stephen and his team on an ongoing basis. Waverley was launched by Stephen Naylor, a former PR officer for the Conservative Party, in 2013.